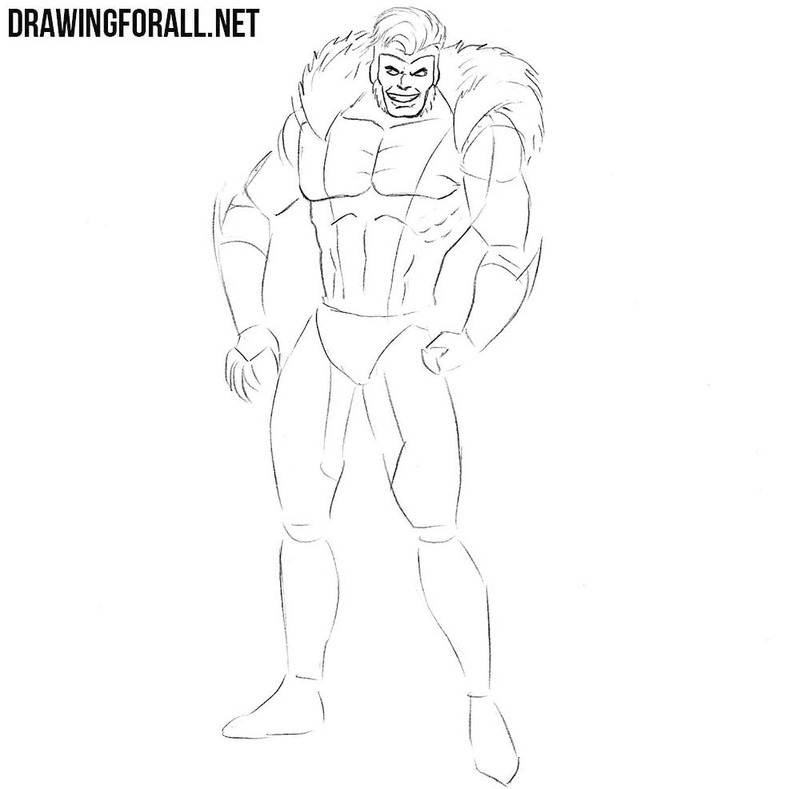 Today we will tell you how to draw Sabretooth from Marvel. As you know, Sabretooth is the sworn enemy of Wolverine. 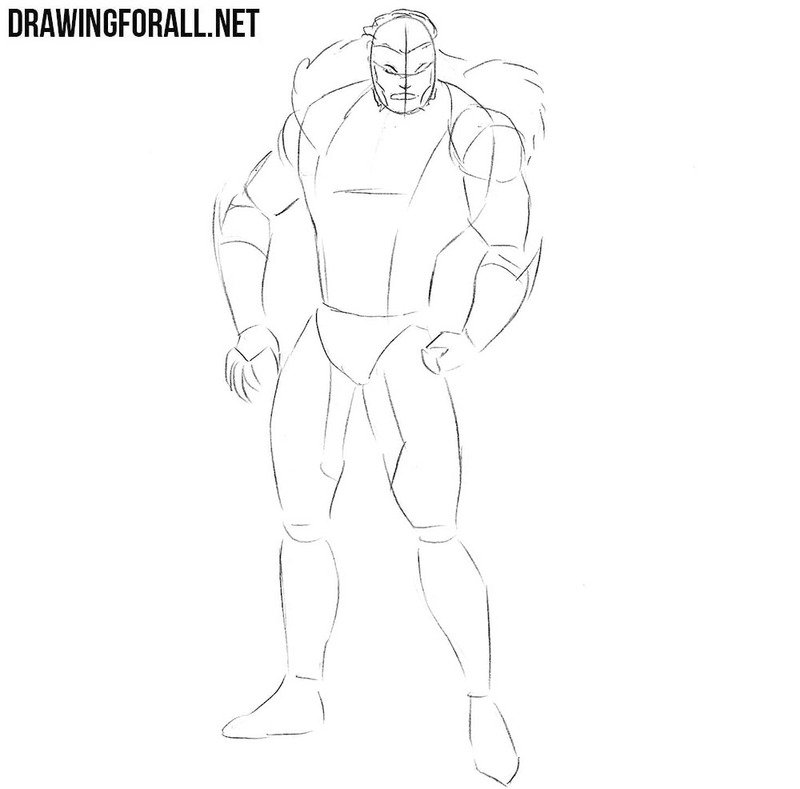 In order for our character to be symmetrical and smooth, first action we will do is skeleton’s drawing. The skeleton will be the basis of the character’s figure. So we begin with the head, drawing it in the shape of an oval. Next, outline the spine using a simple line. On the line of the spine draw the chest and pelvis. Next sketch out the arms and legs and the move to the next step. Now we draw lines of symmetry of the face, which should intersect in the center of the face, near the nose. After that draw the neck and body notably tapering at the waist. Sketch out the arms and legs with simple geometric figures. Now let’s work with main details. Sketch the facial features with the help of guide lines from the previous step. After that sketch out the mane on the shoulders and the specifications of the costume. Recall that you do not need to draw out all the lines too carefully at the first three steps. We need the first steps in order to sketch the main outlines of Sabretooth. Let’s start adding details. Draw the eyes that are located on the horizontal line from the previous step. Draw frowning eyebrows over the eyes and add a some wrinkles. After that draw out the hairline and characteristic side-whiskers. Do not forget the important rule: hair should be drawn in the direction from the roots to the tips. Now let’s move on to the corpus. Draw out the outlines of the tracery on the torso. Using long and curved lines, draw a long mane on the shoulders. 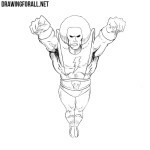 After that draw out the outlines of the muscles under the costume. So we pass to the arms of our Sabretooth. 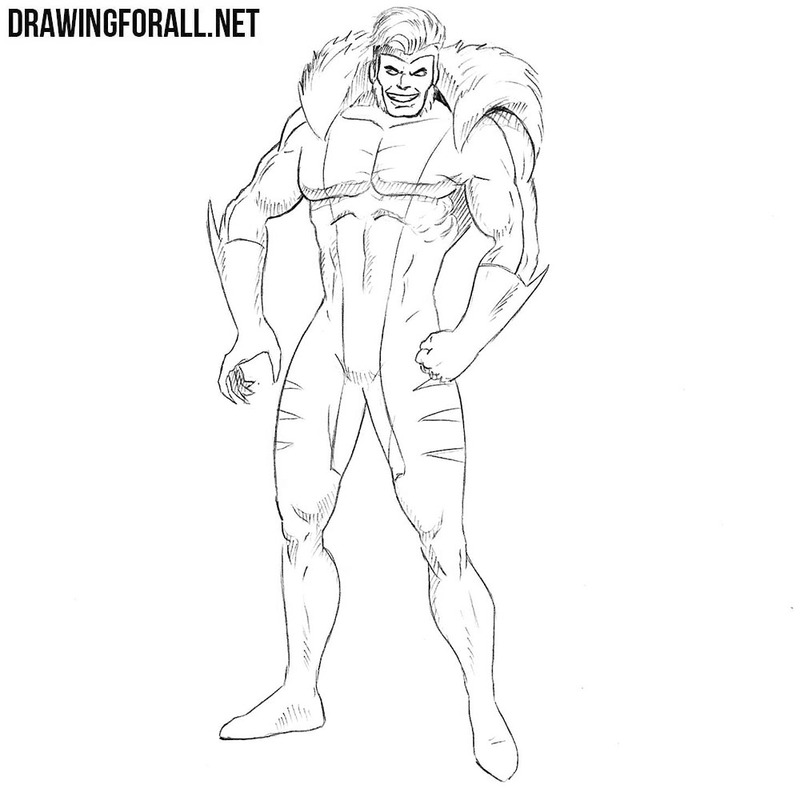 As you can see, Sabretooth has powerful muscular arms. 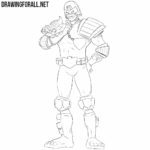 Draw out the outline of deltoid muscles, biceps, triceps and forearm muscles. Remove all unnecessary lines from the arms. 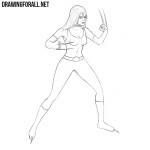 If you have problems with drawing hands and fists, take a look at this drawing lesson. Now let’s move to the legs of our Sabretooth. 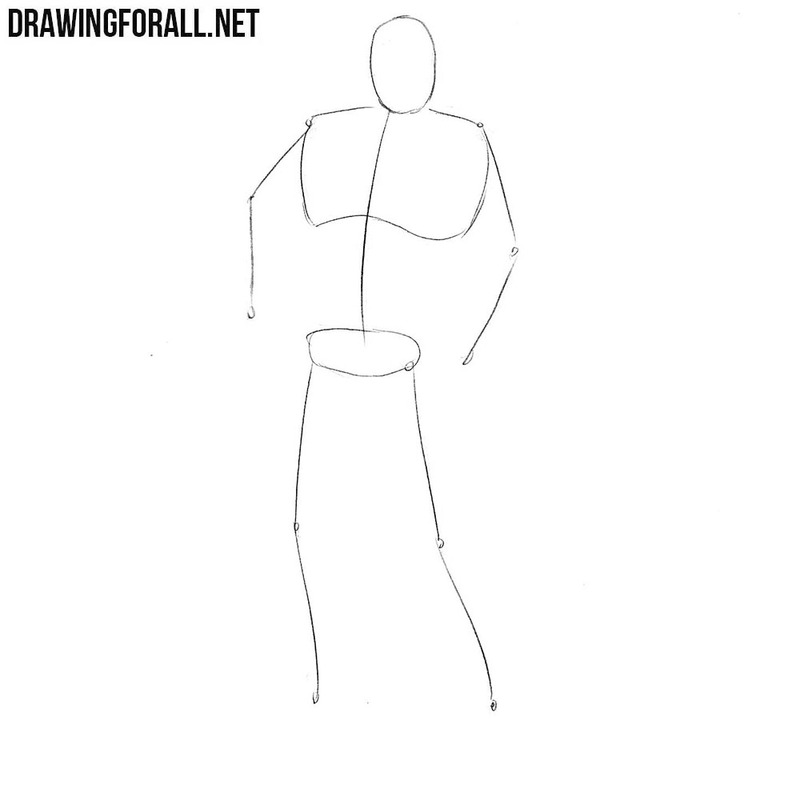 Carefully draw out the outlines of our character’s pelvis area and legs, taking into account all the lines of the muscles and joint as shown in our picture. Do not forget to erase all unnecessary guide lines from previous steps, and draw triangles on hips. 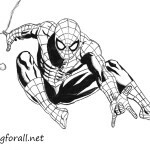 In the last steps of out drawing lessons in comics style we always add shadows. 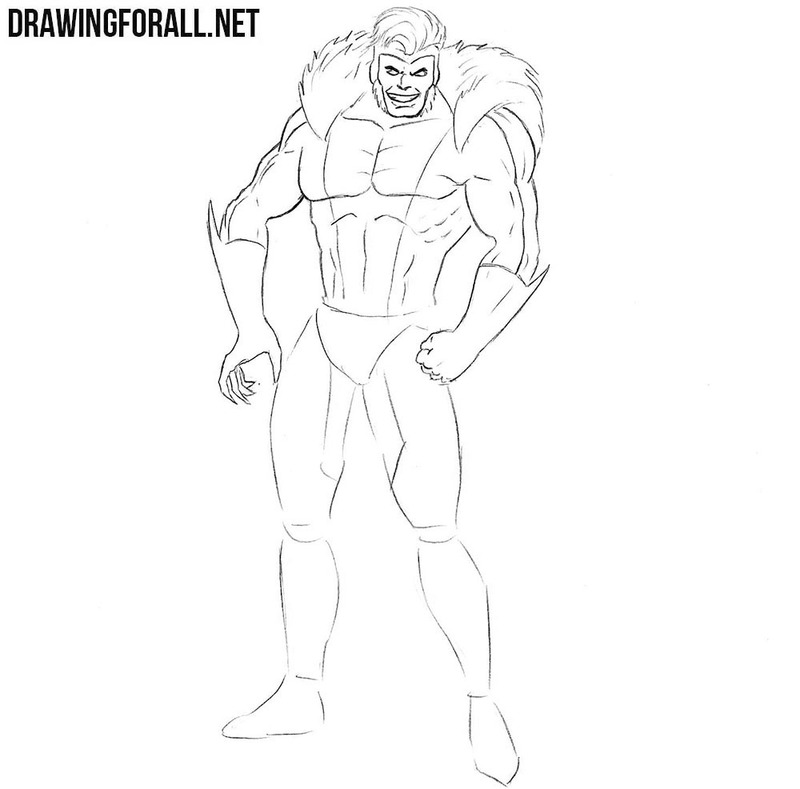 The same thing we will do in this lesson about how to draw Sabretooth. Shadows here we need to add in the style of comics, that is, it will be contrasting and thick hatching. So, this drawing tutorial is over. 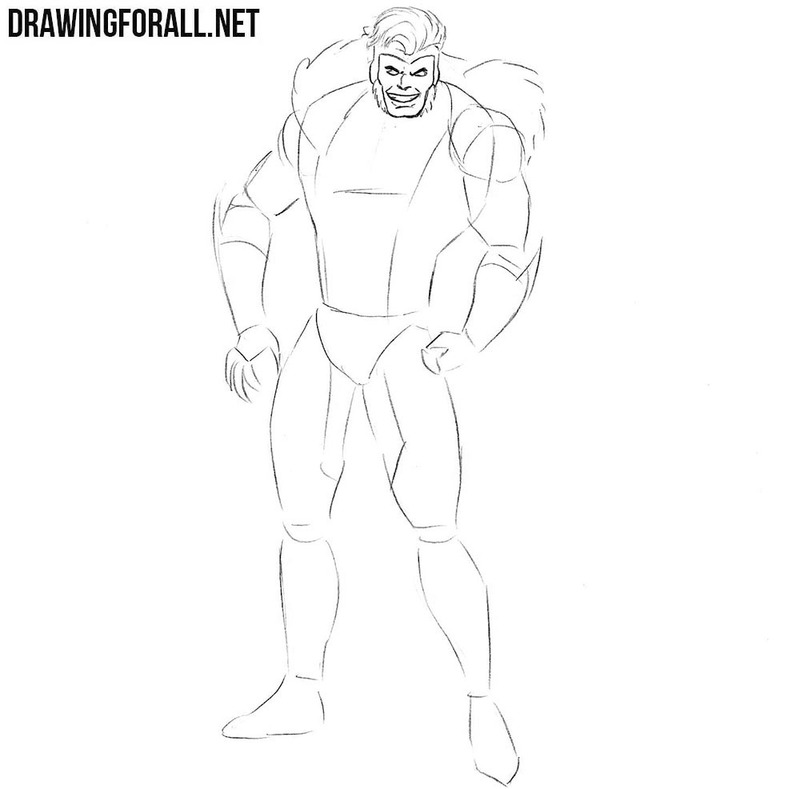 Today we learned to draw Sabretooth. We hope you enjoyed this post. We have a huge amount of lessons about the Marvel Comics Universe for you. 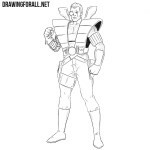 Stay tuned and wait for new drawing tutorials on DFA. Goodbye!